Maybe, male models don’t earn as much as their female counterparts do considering that they only do print ads, catalogues and endorsements. Not everyone hosts television shows, dabs in acting careers, or branches into real estate ventures. Nonetheless, the best paid male models of the industry are earning hefty figures and their incomes are not too shabby with a day’s photo shoot ranging from $8,000 to $15,000. We gathered some of the brightest stars and compiled a short roster of the most successful and best paid male models in the world with a little help from models.com and Forbes. The 25-year old has done work for the biggest names in the fashion industry such as Gucci, Dolce Gabbana, and Fendi. Best remembered for a scar on his left cheek, Lauridsen has made tons of money working for Hugo Boss and Costume National. He’s currently signed up for Gucci’s spring fragrance campaign. Matt is a native Canadian who works for Gucci. In the past, he catwalked for Escada and Jean Paul Gaultier. The 23-year old Corsican is described by Karl Lagerfeld as "a boy version of Gisele Bündchen: skinny, skinny but with an athletic body – good for clothes and great with no clothes.” He is also pursuing a singing career. Giaiconi’s past campaigns include Versace, Chanel, and Lagerfeld. 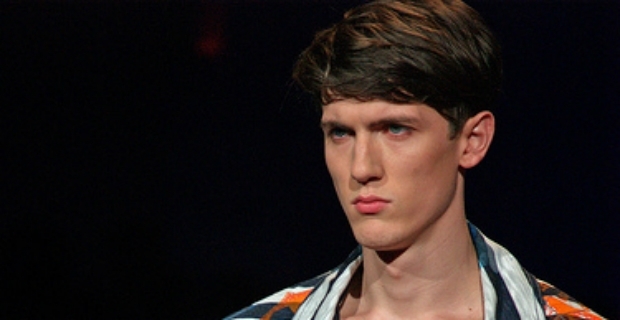 Swedish model, Ludquist is one of the Fashion Fab Four. He has been the face of Guess, Gucci, Calvin Klein, and other top names in the fashion industry. German model, Burmeister, is the famous face behind the Acqua di Gio campaign by Giorgio Armani. He has also worked for Trussardi, Versace, Valentino and Hugo Boss. Since winning a modelling contest in 2001, British supermodel Gandy is a favourite choice of Dolce & Gabbana campaigns. He has also worked for Versace, Hilfiger, CK, DKNY, among others. French-Canadian Aubry made headlines as the first male model to grace the covers of Uomo Vogue and at the same time, appear in 4 other campaigns. He’s actively involved in the restaurant and music businesses. Finally, topping the list of the best paid male models according to models.com are Sean O’Pry and Simon Nessman. O'Pry's modelling stints include parading for Calvin Klein, Hugo Boss, Armani, and Versace. The 23-year old American model has several accolades having been named as the most successful male model of 2011 by models.com and most successful male model in 2009 by Forbes. Ranking second is Simon Nessman who is of half Scottish and half Austrian descent. 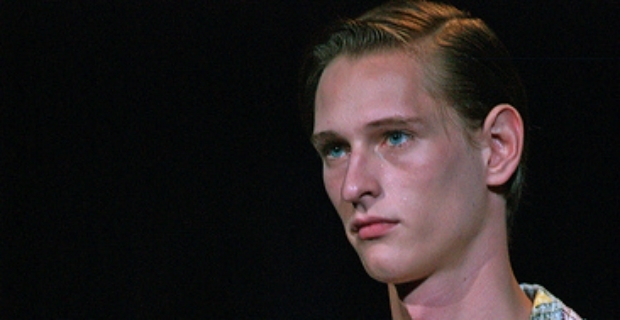 The 23-year old Canadian model is the current Armani face. His will head the spring fragrance campaign of Armani, Acqua di Gio Essenza.